How often should you schedule your pregnancy massage appointments in order to take good care of yourself and your baby? I am frequently asked by my pregnancy massage mums-to-be, how often they should visit the massage table. 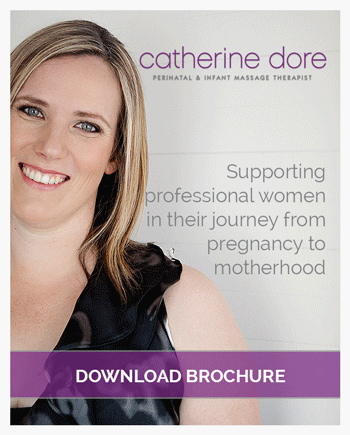 The general guide for pregnancy massage frequency, as recommended by Pregnancy Massage Australia, is to schedule your pregnancy massage appointments for the same frequency as your antenatal appointments. Whilst this is a really good guide, I believe there needs to be some consideration for the presentation and circumstances of each individual. So, how do you work out what is right for you? Here are three questions to help determine how often you should make a date with the massage table. 1. What are you bringing into the pregnancy? What’s your pre-pregnancy health history in terms of injury or ongoing muscular pain and discomfort? Do you have chronic neck and shoulder tension or pain, headaches, migraines, lower back pain, sciatic pain, hip pain, foot pain….and the list goes on. Pregnancy is a funny thing, sometimes lifelong pains, discomforts or conditions disappear, and sometimes pre-existing conditions can be exacerbated during this period. Your body is changing and moving a considerable amount in order to carry and accommodate your growing baby. If you know you have a tendency toward a certain pattern of pain or discomfort, it’s better to keep on top of it. 2. How much pressure are you under? Stressors come from many sources, they can be emotional, physical or financial, just to name a few. We can never underestimate the impact of stress on our health and wellbeing; it tends to creep up on us over time. Having a baby brings about changes to all areas of your life, including your work life, and this is often the source of our greatest stress. There is much to consider in preparing and planning for maternity leave on top of an already hectic weekly work schedule. Now more than ever is the time you need to be looking after yourself and keeping stress in check. The studies tell us categorically that stress has an effect on you and your unborn baby. For example, “Anxiety or stress during pregnancy can affect birth outcome, causing babies to be born earlier and possibly smaller for gestational age. There is also some suggestive evidence for longer-term behavioural problems.” according to this overview of research findings compiled by Gitau, Fisk & Glover. And this from researchers at the University of Pennsylvania, “Maternal stress is a key risk factor for neurodevelopmental disorders, including schizophrenia and autism.” Stress can also increase blood pressure during pregnancy and contribute to premature labour. Ask yourself this: How are you currently managing your stress? What’s your favourite go-to de-stressor? Is it suitable now that you are pregnant, can it be modified for pregnancy? Do you have a plan in place? Whatever your de-stressor is, schedule it in and don’t compromise on this. You work hard, and no doubt the pregnancy is making you tired and sore too. New aches and pains are surfacing and your body needs support and rest so you can physically (and mentally/emotionally) carry on with your daily commitments. On top of this your body needs rest in order to grow and support that little person inside of you. After all, this is the next generation of your family we are talking about! 3. How often do you want to feel good? Cast your mind back to the last massage you had…ahhh, the serenity (Are there any Castle fans?)! Do you remember how calm and drowsy and relaxed you felt? Do you remember the absence of pain or tension throughout your body or that particular area that was bothering for days or weeks before you came in? On countless occasions I have pregnancy massage patients climb onto the massage table and exclaim “Why did I leave this so long…?”. This is a question that only the individual can truly answer but why not take it from those who have gone before you; don’t leave that pain or discomfort or desire for downtime until the week (or days!) before your due date. You don’t have to put up with those tension headaches or the annoying discomfort in your neck and shoulders or that lower back ache. You don’t have to deny yourself that hour of peaceful relaxation and rejuvenation. You don’t need to suffer with those kankles and swollen feet. You are doing your body a favour by addressing it sooner rather than later. Pain of any sort, whether it is serve lower back pain or just an annoying amount of tension in your neck and shoulders, this is actually a stressor on the body. It is taxing your precious energy. In a majority of cases this is easy enough to remedy with a pregnancy massage treatment. Besides, having a pregnancy massage booked in advance gives you something to look forward to at the end of your busy week – a just reward for doing two full time jobs simultaneously!